Recently released figures show a rise in gold and silver bullion sales for the Perth Mint of Australia. Sales for both metals as coins and minted products were up by more than 30% in January 2013 compared to the previous month. Other world mints had also experienced sharply higher demand for precious metals for the start of the new year. The United States Mint had experienced what seemed to be the highest one-day sales in the history of the program, temporarily sold out of 2013-dated Silver Eagles, and then resumed sales on a rationed basis. By the end of the month, Silver Eagles had set a new monthly sales record. The Royal Canadian Mint also resorted to rationing supplies of their Silver Maple Leaf bullion coins. The Perth Mint saw sales of 65,683.71 troy ounces of gold in coins and minted products for January 2013. This represented an increase of 32.48% compared to the previous month and marked the highest monthly total since September when new designs were released across several series. Sales of silver as coins and minted products reached 670,544.36 troy ounces. This was an increase of 32.97% from the prior month. Once again, this also marked the highest monthly total since September. The Perth Mint started publicly reporting sales levels for gold and silver bullion in March 2012. The table below indicates the monthly sales levels for each month since the start of reporting. At this point year over year comparisons of the Perth Mint’s monthly bullion sales are not available. 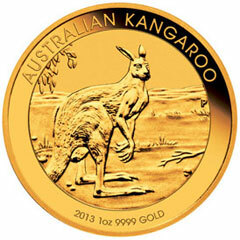 However, the Perth Mint has indicated that sales of the Australian Kangaroo gold bullion coins have soared 40% above year ago levels amidst strong demand from North America and Asia. Seems like another piece of evidence the demand for silver coins is global in nature and not just confined to North America.